We’re always looking for interns to help us run our international programs and reach out to our thousands of volunteers and supporters. 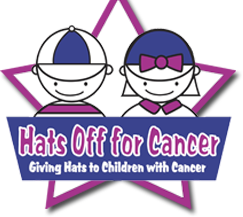 Hats Off For Cancer (HOC) is a 100% volunteer organization, but we can offer college credit for all internships. All allow for telecommute, but periodic face-to-face meetings are preferred. We are located in the Greater Los Angeles, CA and Greater St. Louis, MO area. Check out our current openings below and apply today. Questions? Email internships@hatsoffforcancer.org. Support and enhance HOC Hero of the Week and general social media marketing with special focus on the 2012 support and outreach. Also ensuring the organization’s mission, awareness and development interests are appropriately represented in all of the organizations events, programs, and projects. Develop materials for the HOC School Club program with special focus on launching for the 2013 school year. Also ensuring the organization’s mission, awareness and development interests are appropriately represented in all of the organizations events, programs, and projects. Support and enhance Mad Hatter Drive program with special focus on the 2012 support and outreach. Also ensuring the organization’s mission, awareness and development interests are appropriately represented in all of the organizations events, programs, and projects. Quick description: Help manage and develop a Board of Director manual and online Google Site for Board members to stay in touch and up to date on important HOC news. Work with the President to develop programs to streamline processes for current and new programming. Other duties as assigned. Minimum of 4 weeks, 10+ hrs/week. Email your resume and cover letter to internships@hatsoffforcancer.org with the internship title in the subject line. Quick description: Promote hat drives and Mad Hatter Drive events around the country to local and national media for each event. (Last year, more than 600 groups participated in the fall). Hands on experience as the contact for Hats Off For Cancer to pitch stories. Opportunity to brainstorm and lead on projects. Other duties as assigned. Minimum of 4 weeks, 10+ hrs/week. Email your resume and cover letter to internships@hatsoffforcancer.org with the internship title in the subject line. Quick description: Reach out to hospitals, camps, centers to create partnerships in order to donate hats and let them know about our Request a Hat program where individuals can request hats for their friends and loved ones. Other duties as assigned. Minimum of 4 weeks, 10+ hrs/week. Email your resume and cover letter to internships@hatsoffforcancer.org with the internship title in the subject line. Quick description: Help develop avenues for the public to donate to Hats Off For Cancer. This can be through donation programs for cars, running a race or triathlon for HOC, creating a way for people to utilize a company matching program, and other creative ways to make it easy for people to give back to Hats Off For Cancer. Other duties as assigned. Minimum of 4 weeks, 10+ hrs/week. Email your resume and cover letter to internships@hatsoffforcancer.org with the internship title in the subject line.